MELA Social Enterprise’s Big Heart Balsall Heath project aims to bring the Moseley Road to life on Sunday October 8th. 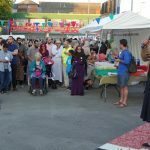 We are bringing the diverse people of Balsall Heath together to enjoy the delights and colour of their very own intercultural market. Artists are working with local organisations to ensure the event is a day to remember. 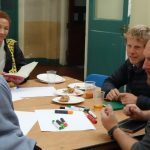 We ran our first creative workshop where emerging and diverse artists mingled and exchanged ideas with the Moseley Road organisations. Each organisation will put on its own display representing its identity and that of its users. Interspersed amongst those displays will be artistic works responsive to the unique socially diverse context of Balsall Heath. We are grateful to the funders, Arts Council England and Heritage Lottery. 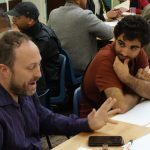 We want artists to propose artistic activity that gets the diverse community of Balsall Heath talking to one another and understanding difference, on a day involving over 12 community organisations. We invite artists to experiment, do something different, collaborate and take risks with their practice. 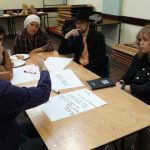 To support artists to understand the context and improve access to the proposal making process, we have organised a gathering for artists and community organisations on Monday August 14 2017 at 4pm – 7 pm at Moseley School of Art, 496 Moseley Road, Birmingham, B12 9AH. 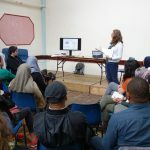 Mela social enterprise want to research the role of ‘place’ in meeting the social and cultural needs of diverse communities and their identities. 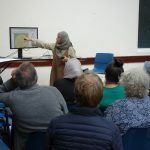 Following MELA’s successful intercultural community engagement events on the Moseley Road aimed at bringing the diverse communities of Balsall Heath together and making the Moseley Road a new meeting place for the neighbourhood. This project is open to all art forms and will involve established artists adept at working in a social context, and commission emerging diverse artists producing new work. 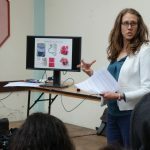 Both emerging artists and established artists will inspire the local community of Balsall Heath to participate in a unique market day; that will transform the Moseley Road, in Birmingham and bring about lasting dialogue between cultures and facilitate collaboration between community organisations. 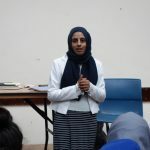 Performing: an opportunity for the development of local cultural and creative talent across Balsall Heath working in spoken word, music, visual arts, dance, craft, decorative arts, mehndii etc. When making their proposal, we ask emerging artists to consider this context of a community “happening” along the Moseley road where organisations have created their own stalls and participatory activity. We will accept proposals from emerging artists based in Birmingham and surrounding areas. On this project we are interested in working with artists that identify themselves as diverse and emerging. We ask emerging artists to make proposals that engage audiences in a different way. We anticipate thematic and topical proposal’s to get people talking. We welcome, culturally diverse art forms, urban art, music, song writing, dance, heritage / site-specific themes, spoken word, digital interactive art, artist walks, visual art, installation, sensory art-work, live art, music, sound art. 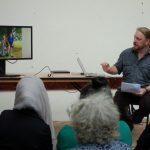 We anticipate artists interventions, please provide an explanation of how you will involve visitors and audiences using Birmingham and Balsall Heath as a melting pot for diversity, and as the site and location of your work. If you are a disabled artist or Deaf artist you can apply for an additional £500 to support you to manage your project. 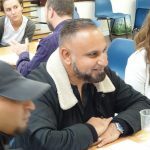 Mela Social Enterprise research the role of ‘place’ in meeting the social and cultural needs of diverse communities and their identities. 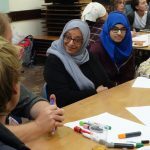 Mela are interested in new approaches to social cohesion, and seek to find ways to bridge communities and bring about intercultural activity in the public realm. We offer a social context for new work, and welcome interdisciplinary practice and collaboration. How do you define term emerging artist and your fit with this term? How do you define term diversity and your fit with this term? If you identify as a disabled artist or Deaf please tell us support you require to manage your project ? If you are using another format to make your proposal, eg video, please provide on line link ? Please provide your website or online profile, If any? Please tell us about arts organisations or projects, or individuals that have supported your work in the past? Any more information you wish to add? on 2 August 2017, Noha was invited to give a webinar for GlobalNet21 – the leading forum in the UK for discussing the major issues in the 21st Century. They share a common concern for the sustainability of both our planet and the people on it. 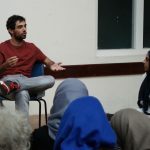 With almost 20,000 network members in the UK and abroad, they are making the debate, and democracy, more accessible by enlarging the Public Square and using social networks. 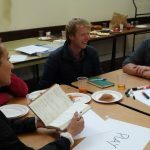 As well as a network of individuals GlobalNet21 have also set up a collaborative network of organisations to exchange good practice and transfer knowledge so that they can learn from each other. This network is cross boundary and includes local authorities, housing associations, universities, community groups and social enterprises. 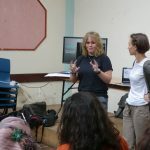 Their aim is through dialogue to celebrate diversity and develop community self-resilience and sustainability at a time of unprecedented social and environmental change. In the past few months we have witnessed horrific incidents in London of terrorism and tragedies like the Grenfell Tower inferno. What these incidents represent is the growing tension within multicultural societies – a tension in ideology, in social inequality, and urban segregation. Diverse societies in global cities, like London, are experiencing the impact of these tensions on the relationships people have with each other. Mistrust, suspicion, bigotry, prejudice and discrimination are just some of the barriers to social cohesion that ultimately unfold into the horrific incidents we have recently witnessed. So what can be done about this? My personal commitment and passion is to bridge cultures. In 2015 I set up my social enterprise, MELA, as a vehicle for bridging cultures through the creative use and design of public spaces . In the public buildings and spaces of the city, like parks, playgrounds, squares, libraries, and streets, diverse communities mingle and mix. MELA focuses on enhancing and optimising these social encounters so that they are deep and meaningful. We do this through community dialogue and building, we hold enjoyable events where diverse people get to experience each other differently, and we design city spaces that have greater opportunities for random encounters. Setting up a social enterprise has many benefits that appealed to me. We trade flexibly like a company but we uphold high social values and prioritise social impact. We re-invest any profits we make into the business and therefore grow our social impact. In a world today where disruptive innovations are dismantling deep-seated systems and processes, social enterprise business models are proving the way forward. It is worth exploring. 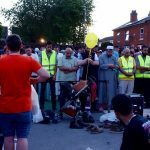 MELA Social Enterprise, and partners along the Moseley Road, supported by an army of volunteers, brought communities together from all backgrounds, faiths and cultures in Balsall Heath Birmingham tonight. 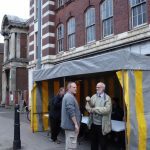 Over 1000 people were fed and watered! 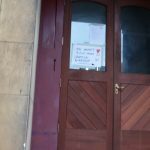 Organisations held Open Doors. Speeches from the Council and the Christian, Jewish, Hindu, Sikh and Muslim faiths agreed we are born without religion – our religion is humanity. We are one human family. Just to let you know, if I seem nervous and unprepared for this speech, it is because of the Pakistan India cricket match today that kept me on the edge of my seat the whole day. 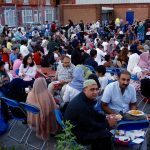 Hundreds of people and organisations from across Balsall Heath will be coming together for the first time this Sunday to break the Ramadan fast (iftar) in a ‘Street Iftar’, celebrating the life of Jo Cox as part of the nationwide Great Get Together. Over 110,000 Great Get Together events are taking place across the UK this weekend, as part of a celebration of Jo Cox’s life and legacy – one year on since she was murdered by a white supremacist – and bringing together communities around what they have most in common. 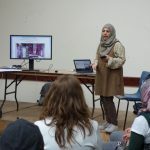 “The Street Iftar is designed to bring all members of Balsall Heath together regardless of cultural or religious background and to animate the Moseley Road as a new meeting place for both sides of the neighbourhood,” said Noha Nasser, Director of MELA Social Enterprise who is organising the event. In excess of 500 people are expected at the event, which starts 8.30pm in the Kwik Fit Car park on Moseley Road, Balsall Heath. There will be short talks from friends of many faiths, networking games, food and entertainment stalls. 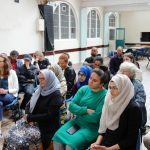 “With so much confusion, uncertainty and hate swirling around our world, this event is a recognition of the strength of our unity and a reminder that love will always prevail,” said [Hasanain Jaffer] from KSIMC of Birmingham at the Clifton Road Mosque. “What better way to celebrate this then sharing a meal with your neighbours, your friends and your community. 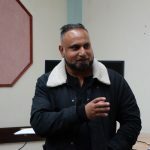 Muslim Students House Mosque is delighted to be part of this fantastic initiative,” said Arfan Sharif from Muslim Student House. 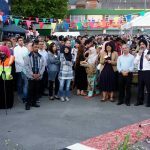 “We always promise a warm welcome to everyone and this iftar in Balsall Heath is the perfect example of our community coming together. It’s the first time Moseley Road organisations have worked together on a project of this scale. 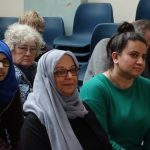 Our whole community is showing that together we are so much stronger,” said Aysha Iqbal, Odara Wellbeing [a company/business]. 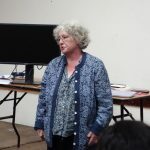 Cllr Lisa Trickett, of Birmingham City Council, added: “Balsall Heath is a very special neighbourhood within Birmingham. It is a community and place that has been shaped by its very diverse and distinct communities that call it home, those whose daily lives pass through or play a part in the life of the community. Welcome speech by Dr Noha Nasser, Coordinator, Moseley Street Iftar and Founding Director, MELA Social Enterprise. Thank you to the following organisations for their generous support and volunteering in making the event happen: KSIMC of Birmingham, Muslim Student House, Odara Wellbeing, Ort Gallery, Near Neighbours, Hope Not Hate, Unity FM, The Big Iftar, Nisa-Nashim, Sparkbrook Masjid and Islamic Centre, UK Islamic Mission, Love Your Neighbour, and The Great Get Together. Join us on Sunday 1 October 2017 11am to 4pm for MELA’s next event on the Moseley Road, Big Heart Balsall Heath Community Market: an exchange of culture, creativity, and conversations. In 2016 I traded my ethnographic toolbox for one in the field of disaster planning and emergency management. Most practitioners come to this field from other starting points, so I am in good company here in rural west Japan. Some of the research centers here and elsewhere on the planet identify resilience as their main subject and disaster risk reduction as something that follows from this primary pursuit. A prominent example is the Australian Institute for Disaster Resilience, https://www.aidr.org.au and in Japan there is the Resilience Research Council of Japan, www.resilience-japan.org, for example. In USA at Northeastern University in Boston, MA, there is the Security and Resilience Studies program. 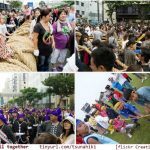 And the international meeting place for government and non-government groups concerned with building up community resilience is online at www.zilient.org. The word roots go back to the Latin, from re- “back” + salire “to jump, leap.” Like the flexibility contained in the word roots, the flexible ways that people use the word resilient stretches from literal elasticity to figurative ability to rebound in an abstract sort of way. In February 2017 a research article appeared and reviewed dozens of publications in which resilience is a central subject, “What Do We Mean by ‘Community Resilience’? A Systematic Literature Review of How It Is Defined in the Literature.” This article sheds light on the spectrum of this concept. The nine lexical fields that overlap in the 615 surveyed publications are (in no particular order) (1) local knowledge, (2) community networks and relationships, (3) communication, (4) health, (5) governance and leadership, (6) resources, (7) economic investment, (8) preparedness, and (9) mental outlook. These dominant meanings for “resilience” are what I will look at during my recent foray into Japanese society and disaster response planning and practice. Analytically it seems that the qualities bound up with the concept of resilience can be isolated, measured, and strengthened as components and thus to boost the whole. One can begin by identifying the physical elements that comprise resilience for a group of people belonging to a given environment or who are facing a particular challenge: material resilience includes things like sustenance, shelter, communication and medical care. Next there are organizational elements that go into the resulting level of resilience: things like leadership, reserves of memory and goodwill to work with others, whether stranger or friend. Finally, there are mindset or outlook and attitudes that layer together with the physical and organizational (or social) elements that comprise resiliency: things like hope, confidence, ability to visualize a good ending. The upshot of the article, above, is that “resilience” by itself is too broad and multi-sided to be helpful in understanding the several phenomena meant by “resilient.” Beyond the meanings alone, perhaps it is necessary to factor in the risk peculiarities that face the group of people since each kind of risk will cause them to use up their reserves in different ways: for example, the group of people may be well resilient to changes in climate, livelihoods, or tone of discourse that is circulating in the news media. But taken all together in combination, perhaps the resiliency goes down. Or in another situation perhaps adversity against individuals in the group can be countered collectively, but a broad attack on the whole group may result in less rebound and recovery than it would be for individual members. 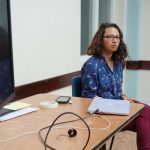 In any case the conditions to build up resilience are worth examining, as are the types of things that degrade resilience of a community at the level of household, neighborhood, or entire city district. In the middle 1990s my fieldwork on local history museums led me to work with a citizen movement in rural west Japan as they engaged the local city government to make sure the budgeted museum creation was not steered off course by the mayor at the time. There was scandal that took me into the field of civil society, where I learned the 3-way distinction of ‘hardware’, ‘software’, and ‘heartware’ [Japanese-made English terms written in katakana]. These correspond to the physical, social, and mental/emotional elements of a project. In contrast to the typical interaction of citizen group to city hall in Japan, the people that I worked with expressed great reserves of resilience: at the individual level more were middle age or older, with life experiences widely engaged in various sectors of the society, and most had professional and/or college education. So the two dozen most active people in the group were well equipped in terms of cultural capital (fluent communication in persuasive meanings, symbols, styles, examples), social capital (bank of contacts to call upon; procedural knowledge for Japanese society in general, and the local town’s figures in particular), emotional capital (well-adjusted and able to speak out publicly or privately, according to conditions), and financial capital (wherewithal to pay incidental costs relating to the citizen movement; some latitude in using their time). Having breadth and depth of cultural resources, social and language know-how, available time and money, and the mental/emotional capacity for sustained effort despite obstacles and adversity all added up to the group bringing the scandal to its conclusion, the befouled mayor fleeing the field, and one of their own taking his place. Eventually the local history museum was completed, a new system for Freedom of Information requests was put in place, and support for all NPO (non-profit organizations) around the city was increased with a view to making government more transparent, decisions more accountable to citizens, and involvement by citizens more vigorous. In many ways the legacy of the late 1990s has persisted now into 2017, although some of the bad old ways have crept back in as leadership has changed and high-handedness comes into play occasionally by elected officials. What is true for a group of people in a citizen movement also is true for responding to disasters. In both cases the group of people and their reserves are challenged by circumstances. Being able to recognize that there is an attack, communicating well both internally and externally, organizing available resources and remedies, and then persistence to overcome the difficulty (either by sheer sustained efforts and commitment, or by creatively reframing and trialing work-arounds) are the things needed for successfully facing the problem and rebuilding the reserves for resilience. Readers may perhaps look at their own household or workplace and find this same experience of resilience is true, as well: expending one’s reserves, but building back better with help from others and in the fullness of time. This constant ebb and flow of challenges and response are hallmarks of social life on a planet of many seasons and ecosystems. What maybe is different now is the pace of changes to society, livelihoods, physical mobility and communication bandwidth (exposed to more, able to reach out a long way, expectations for quicker results). The organizing principle of “extreme weather events” can be applied equally well to the social climate – disruption, dislocation, discomfort have been with us before, but now these are more frequent and they occur in at a bigger scale in our separate lives and in our collective lives. So it is worth understanding the roots of resilience and how to grow them better than before. Outreach is the third part of the university mission for creating knowledge (research), maintaining it (teaching), and using it (service; practical application). This engagement between expertise and the wider public is Guven’s career road: he is building a systematic approach to the work of outreach education to discover the relative merits of each form it takes in order to improve the visibility, usability and results among the communities being served. 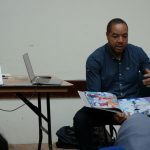 His training in ethnographic methods, documentary skills at producing multimedia and his work with museums and international centers provides a map for this career path. He is eager to assess and advise organizations about how better to reach out to their audiences. The Social Enterprise Festival 2017 is brought to you by City, University of London in partnership with Santander and Queen Mary University of London. The Festival is dedicated to promoting social enterprise and supporting entrepreneurs in delivering social impact through business. On Monday 20th February MELA in partnership with the Knowledge Quarter, presents ‘The Power of the Network’. We are all increasingly reaching out to other stakeholders across multiple sectors to form partnerships, develop collaborations, exercise influence and empower communities. The Knowledge Quarter and MELA are naturally interested in networks – inter organisational, cross disciplinary, multilevel partnerships that enable us to achieve the extraordinary goals we have set ourselves. In this session we will explore the ways we have developed our networks, and how we work with other organisations locally, nationally and internationally to share knowledge, resources, goals and people. We will also examine specific techniques social enterprises can use to build and develop their own partnerships, bringing together speakers from distinguished backgrounds to share lively presentations on developing partnerships and harnessing the power of the network. To book on to the Knowledge Quarter event click here. Have you ever thought about the value of your social networks? Those people that opened doors for you; who supported you in making things happen? 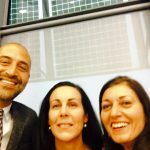 How do social networks that BRIDGE between cultures make a SIGNIFICANT impact on social integration? There is plenty of research that shows that ‘social relationships matter’; that ‘social networks are a valuable asset’. In fact, the greater our web of ties to people OUTSIDE our social group the higher are our life chances and social mobility, and even our well-being. In short, we are more plugged in to society. That is why the approach we take at MELA focuses primarily on how to build these social networks that bridge between cultures. Because we know that interaction enables people to build communities, to commit themselves to each other, and to knit the social fabric. In fact face-to-face encounters are the only way to build trust and tolerance. Our approach always starts with identifying the divisions or silos that keep ‘knowledge’ of other people flowing in closed loops. If we begin thinking about how we link these loops together we can create an exponential impact on society as a whole. We are particularly interested in those meeting points. The public places where these encounters happen. It could be the street market, the library or the leisure centre. Then we begin to think how we can animate these spaces in ways that encourage intercultural conversations? Activities like sharing food, experiencing world music or team sports can engage people of different ages and backgrounds. But it is not enough to think locally. Cities have a responsibility to ensure their citizens are plugged in and are economically included, healthy, and safe. But what we’ve found is that cities can’t deliver these outcomes alone. They need organisations – like MELA – to partner them because we are making a difference on the ground. That’s why we have set up ‘Bridging Cultures Roundtables’ in core cities. Our aim is to bridge between city leaders and local social innovators. And network them with the corporate and cultural sectors. One recent example has been in Bristol. 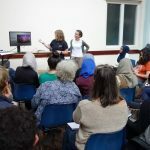 For the first time neighbourhood-based cultural organisations are being networked with those in the city centre. Our aim is to share bridging cultures good practice but also to create the business case for the corporate sector to engage. And cities can also benefit from networking internationally. To scale up the impact of the Roundtables we are now working with the Council of Europe’s flagship programme, the Intercultural Cities Network. Our aim here is to share social innovations across its 100 member cities. And it’s not just Europe, the most exciting news is that MELA has been invited to Jerusalem next month to network social innovators to scale up their impact in their city. In conclusion, social networks are valuable. If we want our cities to be socially integrated we have to start with building those social networks that bridge cultures wherever we can. I invite cities to partner and nurture their social innovators – we are key partners in making social integration happen.